The French choral music tradition began centuries ago with both liturgical and court music thru the renaissance period and beyond. 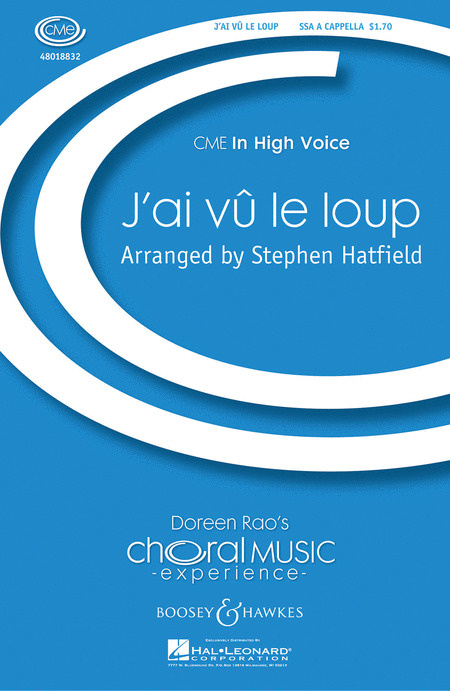 There have been many great French composers of choral music such as Faure, Saint-Saens, Poulenc, Ravel, Debussy and many more. These popular pieces are available for the first time in a single volume. This beautiful, newly-engraved edition includes a piano reduction line to aid in rehearsals. For four or six voices. French/English. Cantata for double chorus (SSATBB/SSATBB). "The Lark", a play about the life, trial, and death of Joan of Arc, opened on Broadway on November 17, 1955. 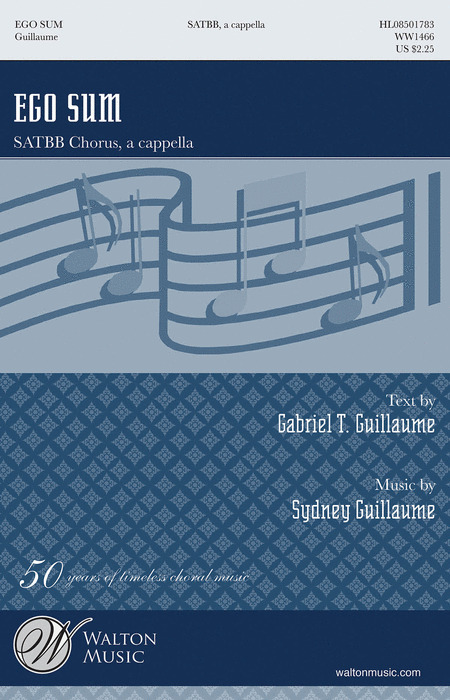 Durufle's Four Motets on Gregorian Themes for SATB a cappella chorus, composed in 1960 and beloved by choruses around the world, appears in a fresh new edition with new music engraving and with historical introduction in English and English translation of the Latin texts. Includes the movements Ubi caritas, Tota pulchra es, Tue s Petrus, Tantum ergo. These Christmas songs have been chosen from those transcribed by Andrienne Block and are particularly interesting because the music was originally composed for secular texts, and the Christmas texts were substituted in the following decades. Unaccompanied with rehearsal piano. 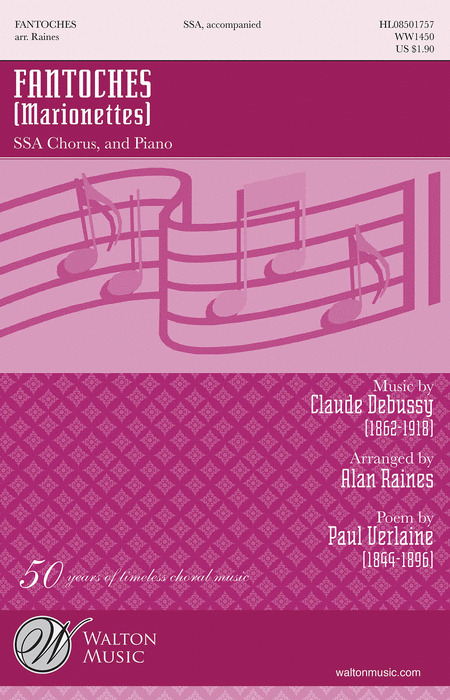 This collection of French Songs & Choruses includes a wealth of original choral music by French composers, as well as many wonderful arrangements of some of the greatest French songs ever composed. 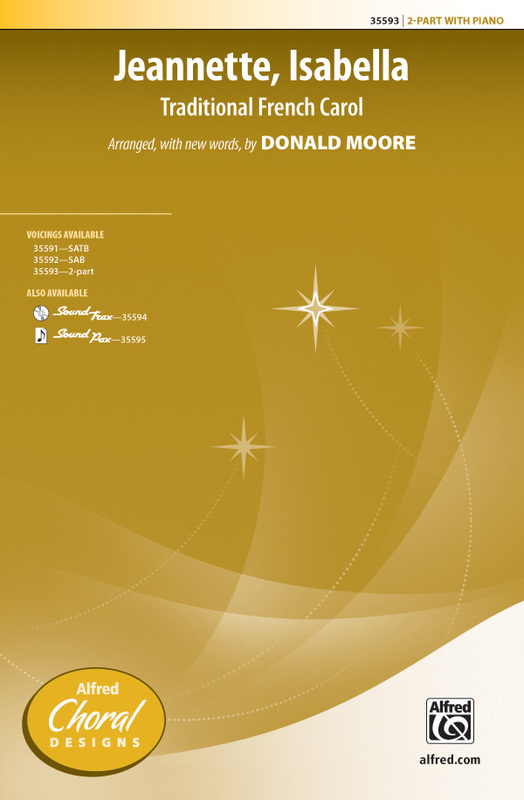 Suitable for Mixed-Voice Choirs of all sizes and abilities, this is the perfect collection for finding new performance pieces, but would work equally well as a complete concert program. 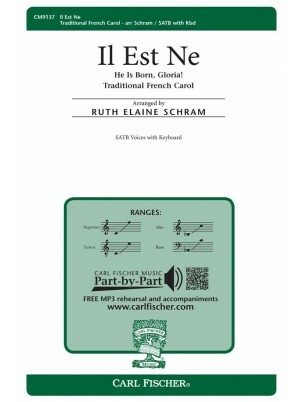 The selections in this songbook are second-to-none, with some of the most beautiful and affecting French choral music compiled into one volume. 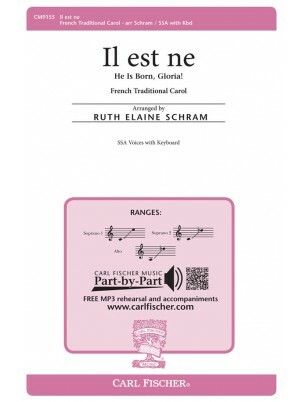 Many original works are included here, with these choral compositions by giants of French classical music often being regarded as some of their finest work. Pieces like Madrigal by Gabriel Faure, a new edition of Maurice Ravel's incredible Trois Chansons, Camille Saint-Saens's Calme Des Nuits and Trinquons as well as Reynaldo Hahn's three Rondels, originally written for SATB choir. The harmonies of songs like Chanson D'Amour by Gabriel Faure convey just how stunning a song this is to hear as well as to sing, while others like Debussy's Beau Soir offer a similarly beautiful take on a different theme. With all of these songs, the joy will be in careful selection, fantastic practice and the thrill of performance for you and your audience. Please note that most of the lyrics are in French, but English translations are included. A collection of French Christmas carols for unison or 2-part voices with French and English texts. Written in remembrance of a loved one, this work has its given place as a concert centerpiece. The composer's style touches on the French romantic masters, bringing a rich variation of colors to the performance. Duration: ca. 6:30. 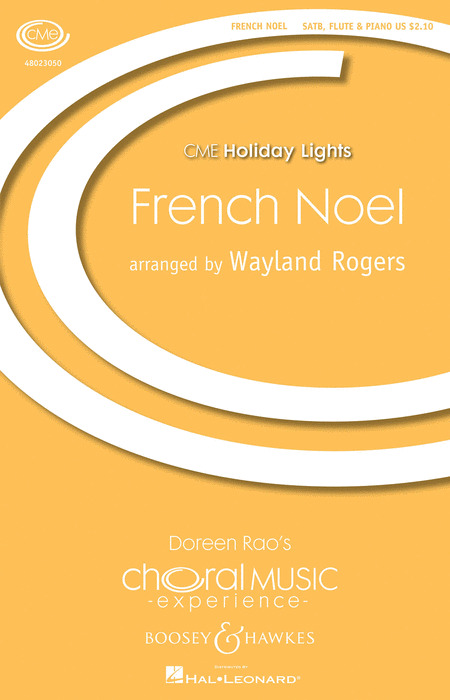 A lilting flute obbligato floats above the dance-like vocals of this French carol in an accessible arrangement that will enhance performances by treble choirs of all ages. Beginning with a unison first verse and progressing to two and then three parts, this will be a welcome Christmas addition. This setting of a sixteenth century French poem celebrates May Day, the mid-point between the vernal equinox and the summer solstice, which in many traditions marked the beginning of the pastoral summer season. This buoyant song beautifully depicts the image of a kite flying high in the air implying a child's imaginative wishes and dreams. Includes original French and English lyrics. Performance Time: Approx. 2:00. This traditional French children's song used in the Oscar-nominated French film The Chorus is easily learned and fun to sing. Includes original French and English lyrics. Performance Time: Approx. :30. Alexander Tilley : D'ou Viens-tu, Bergere? With Alto Solo This setting is based on a traditional carol from French Canada, that probably dates back to the 17th century. 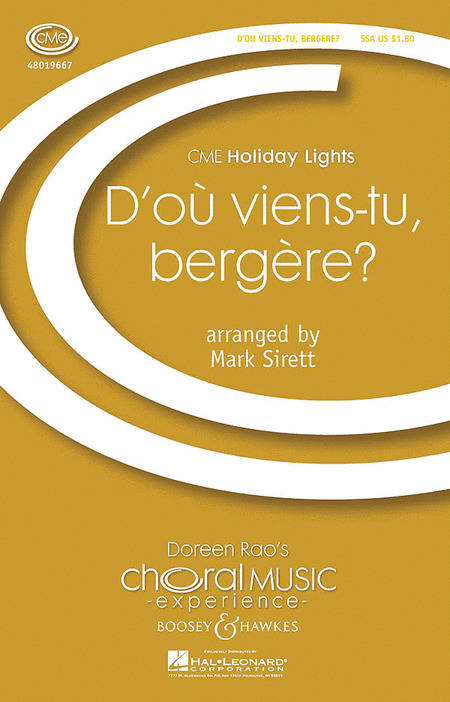 The text of Doviens-tu bergere is in a traditional question-and-answer form - a dialogue between the questioner(s) and the young shepherd girl who has been to the manger and seen the birth of Christ. Mark Sirett : D'où Viens-tu, Bergère? 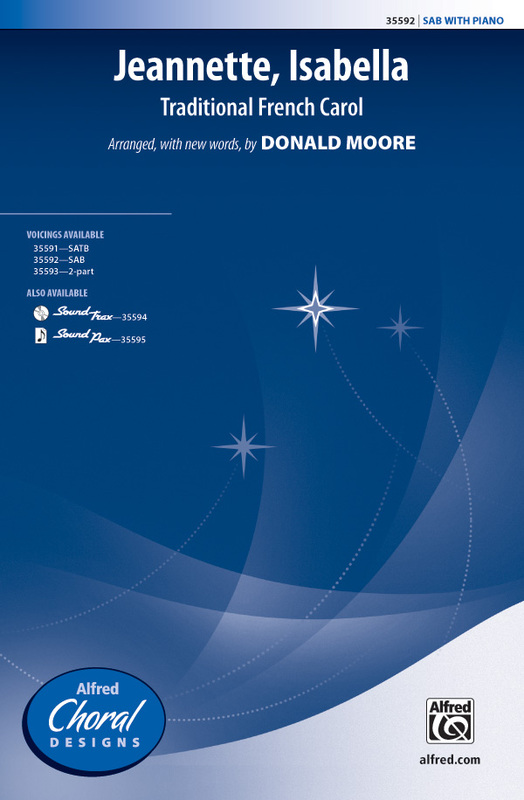 A traditional Québecois carol, this arrangement will immediately captivate your choir and audience. Its lullaby-like qualities are both soothing and entrancing. Sung in French, Gabriel Guillaume's text is a dialog between man and his God. This beautiful and rewarding work requires a mature choir - advanced high school or college. A full English translation is included in the program notes. Duration: ca. 7:40. This French Canadian game song actually dates back as far as the 15th century and is featured here in a rollicking and playful arrangement by Cristi Miller. Loosely translated as let's get the ball rolling, the refrain and verses may be sung in English, French or a combination of both. Well-crafted vocal and piano lines add to the fun of performing. Available: 2-Part. Performance Time: Approx. 2:00. The words by French poet Paul Verlaine set the frivolous tone for the women's mature voices. The playful vocal setting is matched by an elaborate piano accompaniment. This brief vignette will add spice to your concert program. Duration: ca. 2:10. This joyful Christmas carol from 15th century France may be sung in either the original French or in English. 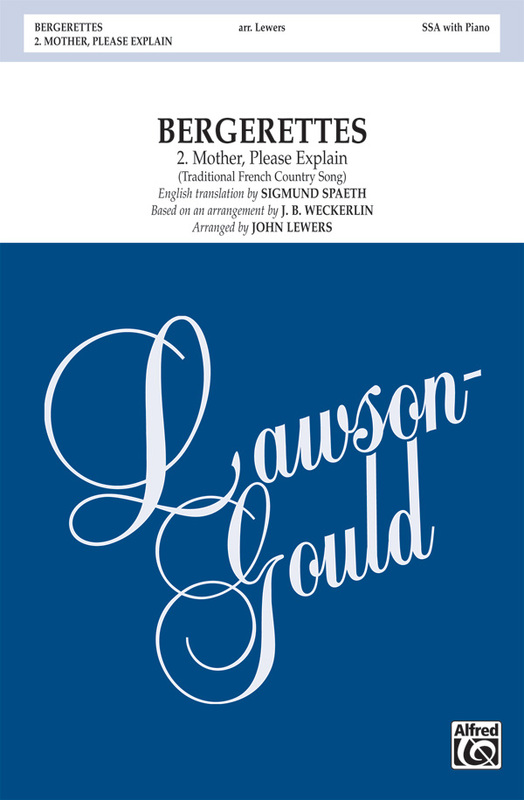 If a children's choir is used, it can sing the soprano part throughout. The words nouvelet and noel both come from the French root word meaning news or newness and this arrangement by Wayland Rogers is just that, fresh and new. Russell Robinson : Hopsa! Lisella! Now available for women's voices, this popular French chanson relates the gossipy conversation of a pair of French housewives as they chatter about their husbands. Dance-like phrases echo back and forth along with colorful wordplay and double meanings. This popular French chanson relates the gossipy conversation of a pair of French housewives as they chatter about their husbands. Dance-like phrases echo back and forth along with colorful wordplay and double meanings. Duration: ca. 1:15. John Leavitt : Je Le Vous Dirai! Now available for women's ensembles! 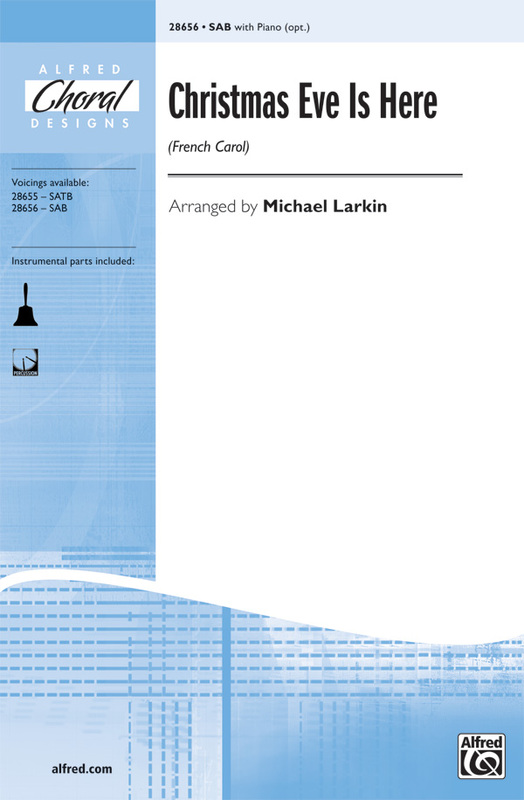 Introduce your ensembles to the famous French chanson with this excellent edition. Includes French and English texts. 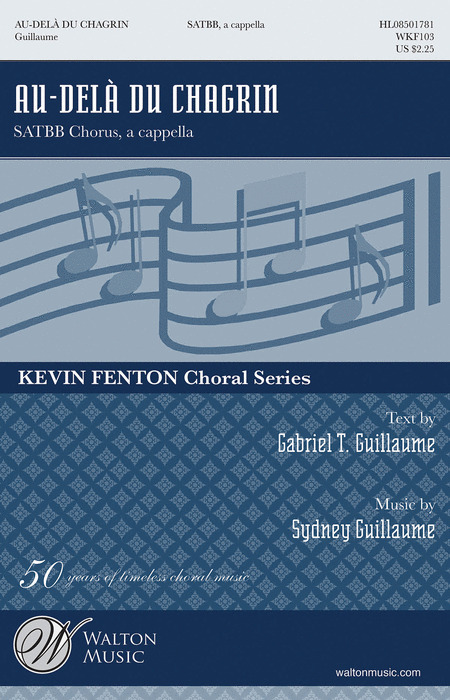 Available separately: SATB, SSA a cappella. Duration: ca. 1:00. Joyful cascading vocal lines and fa la la's will enliven your treble choir's concert or festival performance! The optional percussion creates a dance-like feel in this delightful madrigal edition. French poet Guillaume Apollinaire's musing on lost love takes on a quintessential French sound. Easily accessible to a good high school choir. 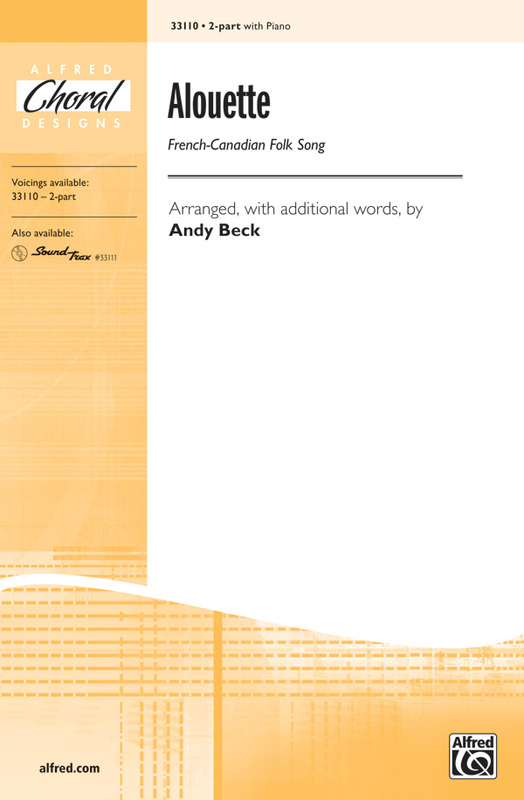 In French, with a singable English translation by Jon Washburn.